today is Mother's Day, have you said thank you to the mother in your life? if you haven't, here is a chance to redeem yourself. enter to win Pureology's Purify Shampoo and Hydrate Hydra Whip to pamper, clarify and restore your (or your mother's) hair. just let your mom know you entered this giveaway, it's almost as good as a gift, right? 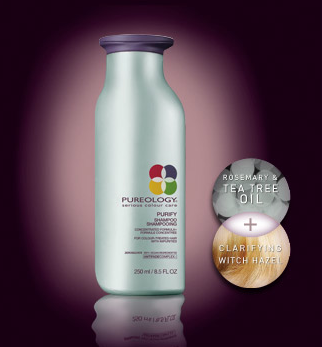 Pureology is the pioneer in ZeroSulfate shampoos. they have put together the most brilliant hair care set to help maintain that "fresh-from-the-salon vibrancy" in just two steps. step 2: Hydrate Hydra Whip helps hydrate and restore hair without being heavy. 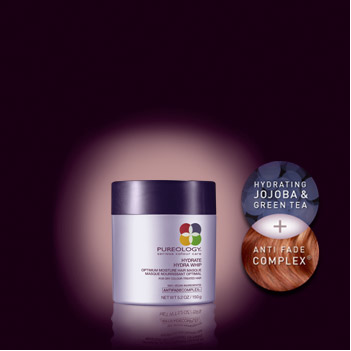 this soufflé of a conditioner leaves hair soft and touchable in addition moisturizing and replenishing hair. Pureology shampoos help restore hair and their masques can rejuvenate your hair in 5 minutes. we all know time is a hot commodity and taking 5 minutes to create the salon glow is a worthwhile investment. be sure to leave a comment letting me know you did! I like you on Facebook! Thanks! :) ....and Happy Mother's Day! I like you on FB and Pureology ROCKS! Liked the Pureology! Actually would love it! I like you on facebook! I love your blog! I like you on facebook and love your blogs! Great Blog...liked you on fb. I like you on FB and would LOVE to win this! Love Pureology! liked you on fb. Ann Khokhlova. I love pureology ! I liked you on fb. I liked you on FB...and I loooove your Blog...Awesome!!! I like you on FB and I love Pureology! Need some more! I like you on Facebook and thank you for the chance! I liked you on FB! engineergirl@mail.com thank you!